Lorelei Stewart discusses Forum 400 and other new initiatives. 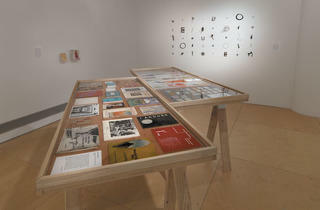 Photograph: Tom Van Eynde Installation view of "Archival Impulse" at Gallery 400, 2011. Philip von Zweck’s Every Hotel Room, a stack of stolen Gideon Bibles, functions as a personal archive of hotel rooms the artist has occupied since 1991. 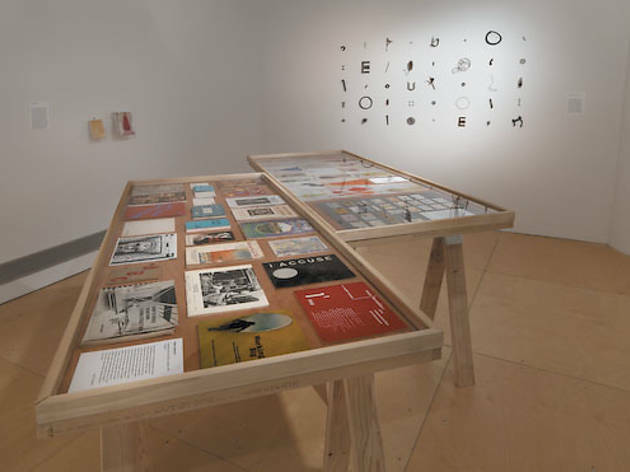 As von Zweck uses an iconic book to author a different narrative, UIC’s Gallery 400, which exhibits his installation in “Archival Impulse,” begins a new chapter of its own. Founded in 1983, Gallery 400 only exhibits contemporary art, architecture and design, and has no permanent collection. “There’s a common misperception that all we show is student work,” assistant director Whitney Moeller tells me. Director Lorelei Stewart doesn’t view the lack of a permanent collection as a limitation, but admits that it makes it harder for the public to understand Gallery 400’s mission. “The history of our programs defines our identity,” she says, so the gallery is making its past as accessible as possible. “Archival Impulse,” which highlights artists from previous exhibitions, such as Stephanie Syjuco and Jason Lazarus, coincides with the launch of Gallery 400’s new website, created by Chicago-based Neoteric Design. The site enables visitors to access additional information about artists, new exhibition and event archives, a social-media platform called UIC Creative Community, a blog and “Stories from the Inside,” which offers a glimpse of the university’s art courses and studios. Though the Propeller Fund, which Gallery 400 administers with local gallery threewalls, recently completed its second annual round of artists’ grants, Stewart says most of the institution’s partnerships with other educational organizations or community groups “have been short-term and not very sustainable.” To rectify this, Gallery 400 established a Community Engagement Advisory Council, and it plans to target the UIC campus, Chicago Public Schools and the West Loop. Stewart would like to see a formal program for class visits, “teacher resource materials on the website and active programs on the weekend for our neighbors”—ideally, before the gallery celebrates its 30th anniversary in 2013. “Archival Impulse” runs through December 17.